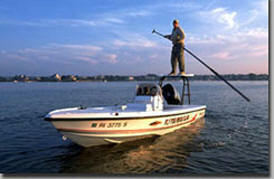 Rhode Island offers some of the best saltwater and freshwater angling anywhere. Whether it's the worm hatch or a mayfly hatch, Capt. Hines can show you how to connect to Rhody's outstanding gamefishing opportunities.